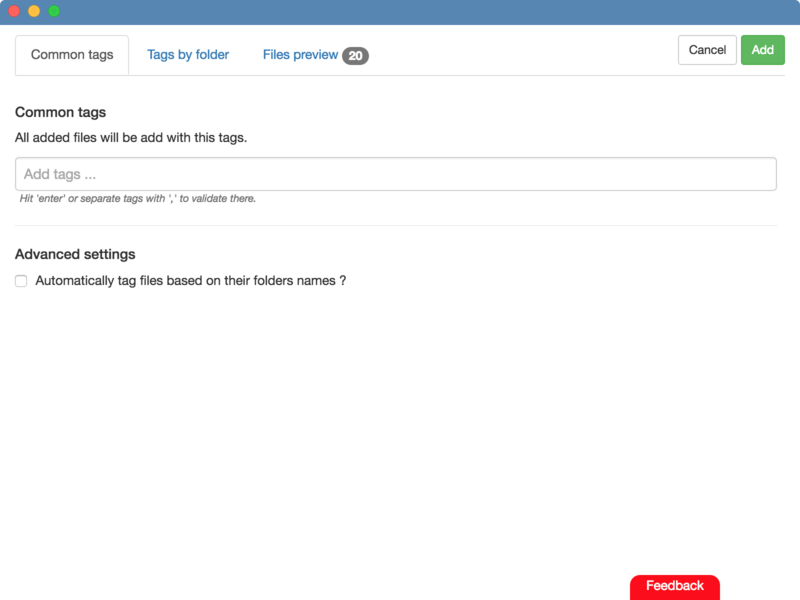 TagFlow - Manage your files with an intelligent tags system ! 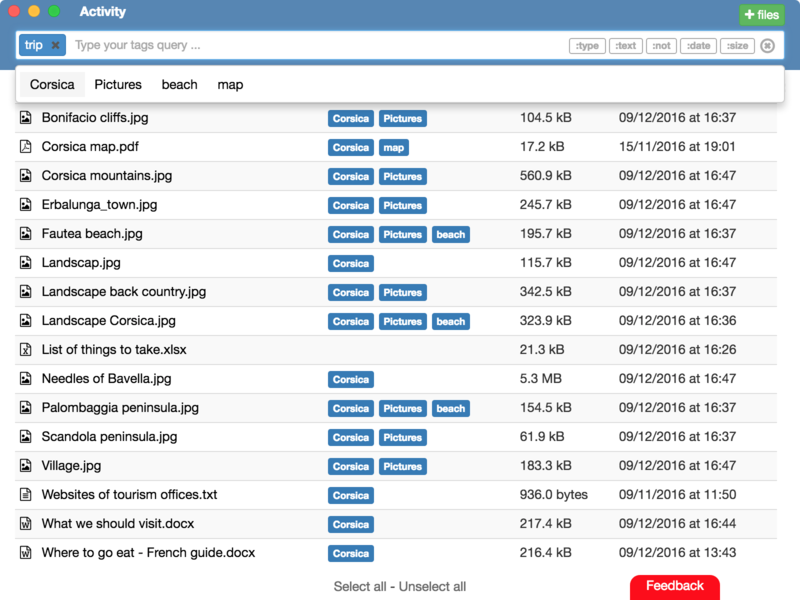 Don't look for your files, find them ! 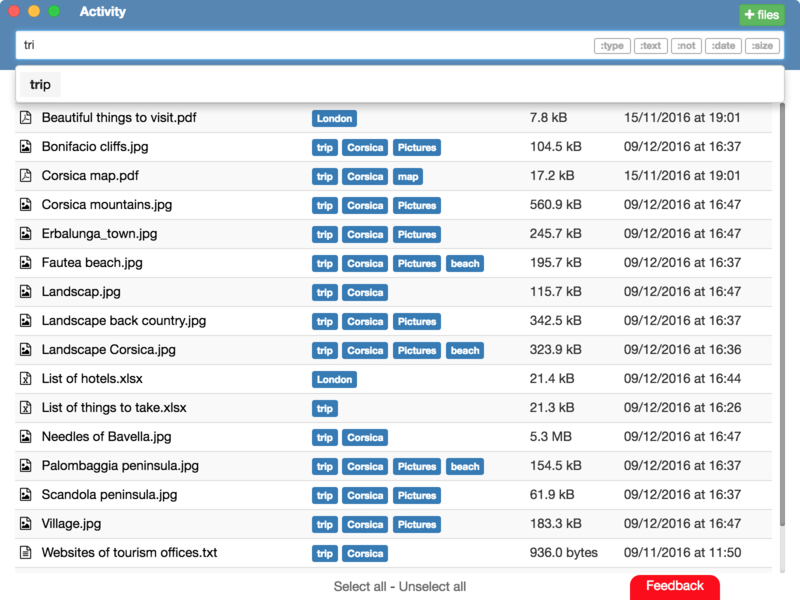 TagFlow improves your classification and simplifies the search for your files using an intelligent system with tags. Thank you. You will be keep in touche ! Please, enter an valide email address ! 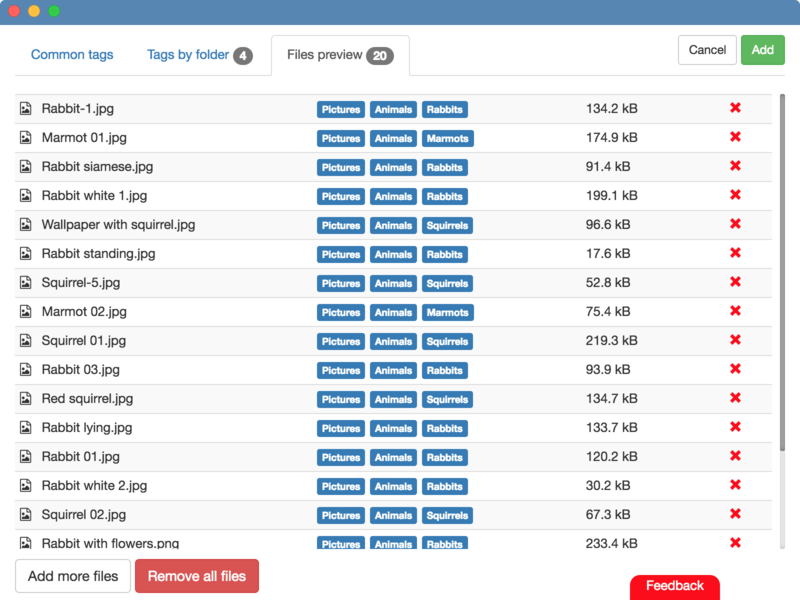 Enter one or two keyword to find exactly the file you are looking for. Your documents are automatically sorted in the light of their content and characteristics. 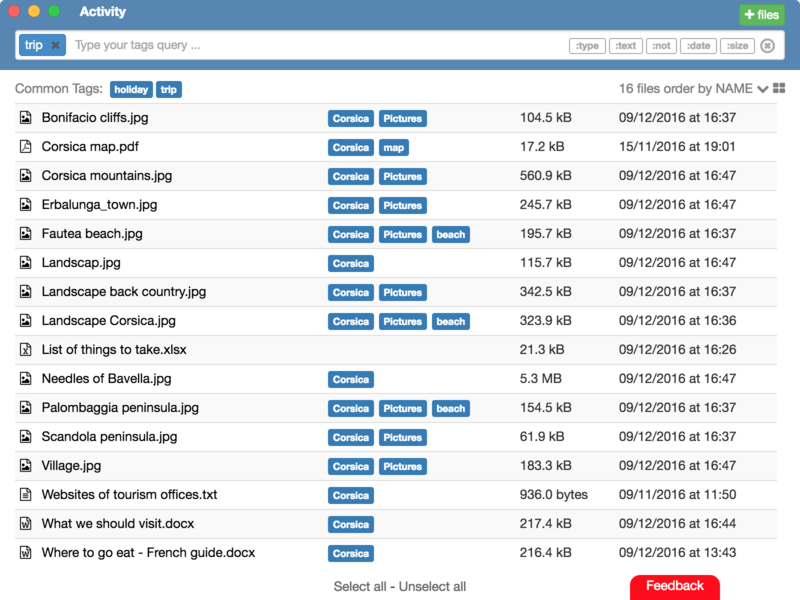 Manage all your files in a simple, intuitive and efficient application. Duplicate files are transparently managed by TagFlow and only stored once. Changes to your files are saved and you can restore older version if needed. Your documents stay on your computer and are not copied to the cloud. 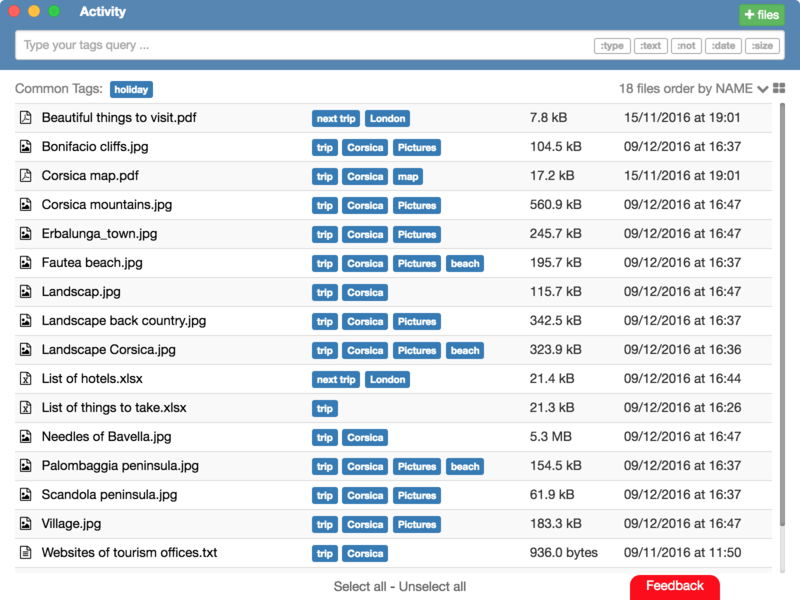 TagFlow is a multiplatform application (compatible for Mac, Windows and Linux) that allows you to organize and find files on your computer through a system of smart tags. To find a file, just searching for one or two keywords defining research. A proposal of suitable tags help you for the research. To narrow the search, the system automatically suggests tags based on your classification and your search habits. 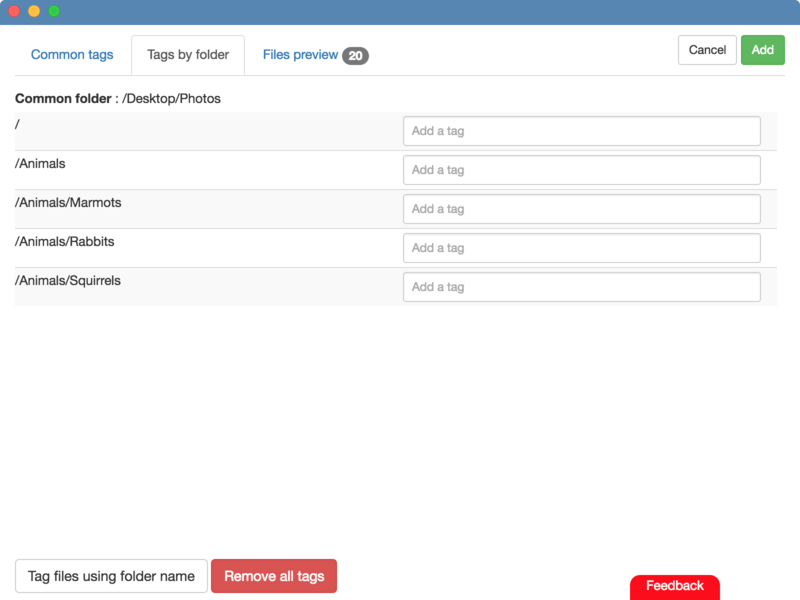 To add files to TagFlow, simply select the files you want to add. The system already assign certain tags based on file characteristics (document type, creation date, etc. ), but also depending on the files you've already sorted on TagFlow. You can specify the classification of your files if necessary. For more details on TagFlow usage or to discover the advanced features, go to the turorial page. You never know where to classify your documents, or what folder they are when you need them? You have documents copied to multiple storage and so many versions of the same file? All these problems are inherent in the system of classifications files that existed before the advent of computers ! The main problem with the files is that one can have only one access for each file: by browsing the folders until you reach the file. 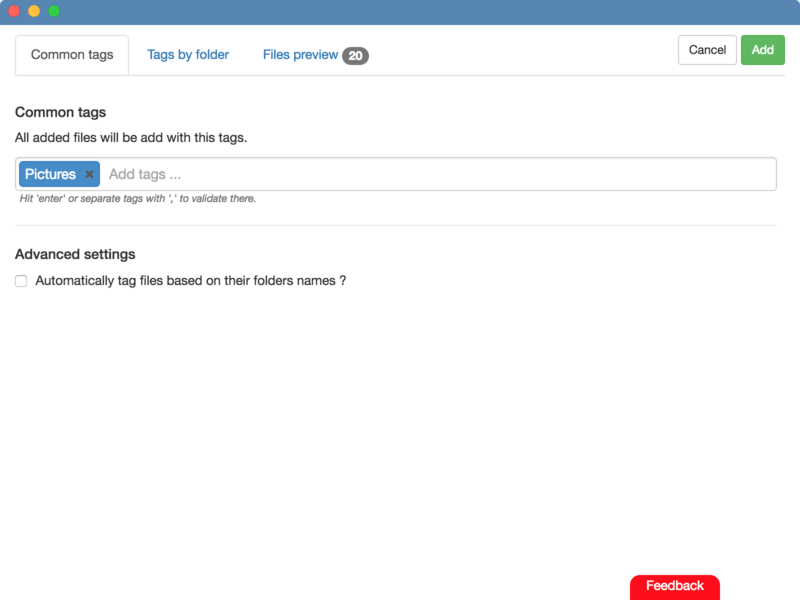 With tags, there is more order and it has several ways to get to the same file ! 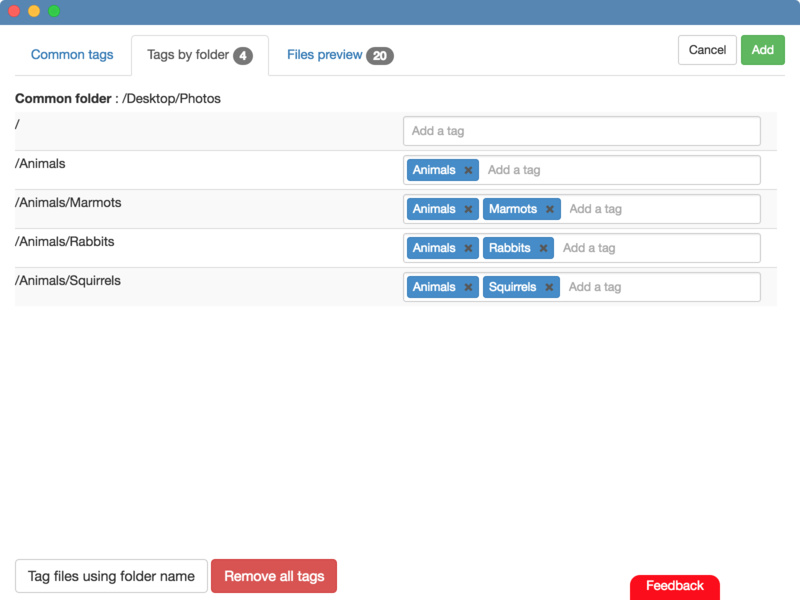 TagFlow is now available in version BETA ! The objective of this project to offer a complete solution to manage, sort, organize, save, share and archive digital documents with a concept of smart tags. Full basic files manager with an intelligent tag system. To allow you to sync your files with multiple devices, share specific content and to have a backup of your files. To improve confidentiality and reduce costs (no more monthly fees for cloud storages) we plan to distribute our own storage platform. Some exciting features like advanced sharing, specific features, decentralization, etc. TagFlow the applications are free and will remain so. They provide a complete document management with intelligent tagging system. Some additional features, but not essential for basic file management by tags will be proposed soon against payment. Help us build an application that best suits your needs by answering a few questions. Feel free to send us the problems you face and your improvement ideas. To get involved when public beta is launch and about TagFlow project developpment.